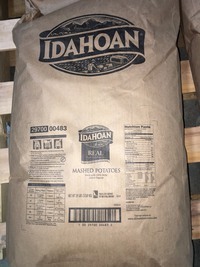 Idahoan Custom Real Mashed Bag--39 lb. 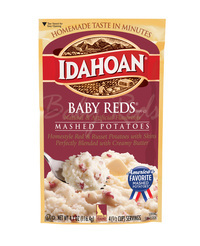 Idahoan Real Mashed Pouch--24 ct/13 oz. 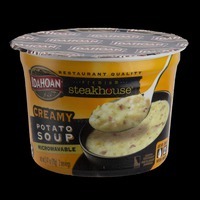 Idahoan Premium Homestyle Mashed Pouch--12 ct/28 oz. 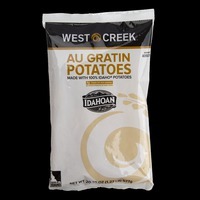 Idahoan Au Gratin Casserole Carton--6 ct/2.54 lb. 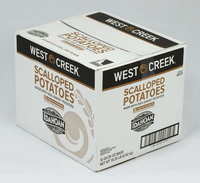 Idahoan Scalloped Casserole Carton--6 ct/2.54 lb. 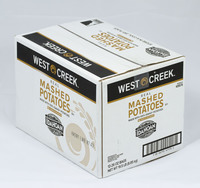 Idahoan Hearty Cut Hashbrown Gable Top Carton--6 ct/2.25 lb. 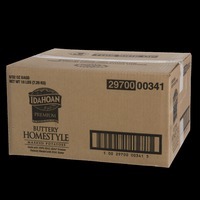 Idahoan Buttery Homestyle Pouch--8 ct/32 oz. 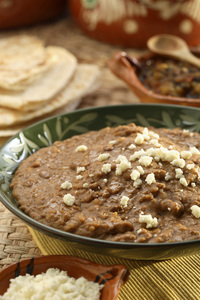 West Creek Real Mashed Pouch--12ct/26 oz. West Creek Au Gratin Casserole Pouch--12ct/20.35 oz. 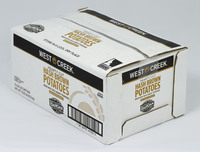 West Creek Fresh Cut Hashbrowns Gable Top Carton--6ct/2.125 lb. West Creek Hearty Cut Hashbrowns Gable Top Carton--6ct/2.25 lb.